Glasnevin on the north side of Dublin City once had its own station on the Great Southern & Western Railway's link line which ran from Islandbridge (near Heuston Station) to Amiens St Station (now Connolly) which opened via Glasnevin Jct in 1901. 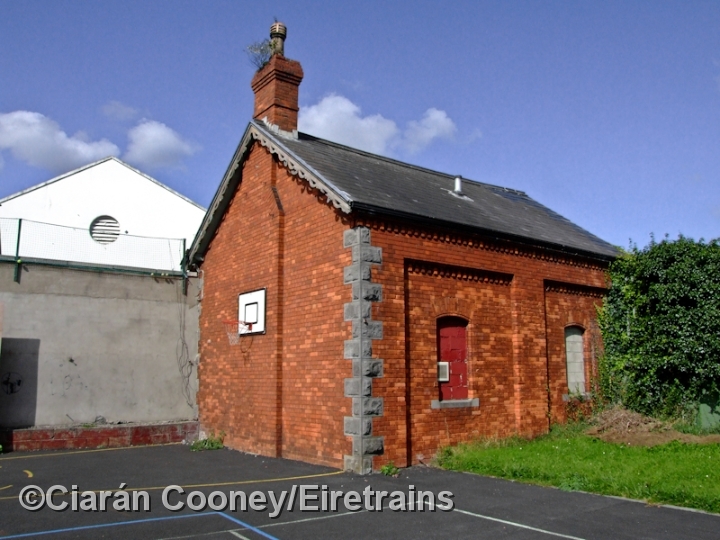 Glasnevin and Drumcondra stations were located between the two latter locations and opened with the line, but both closed when passenger services ceased over the route in 1910. Glasnevin Station was unusual in featuring a single island platform located between the up & down lines linked to the small elevated red bricked station via a footbridge. After the station closed the footbridge and platform were removed and the track re-aligned. 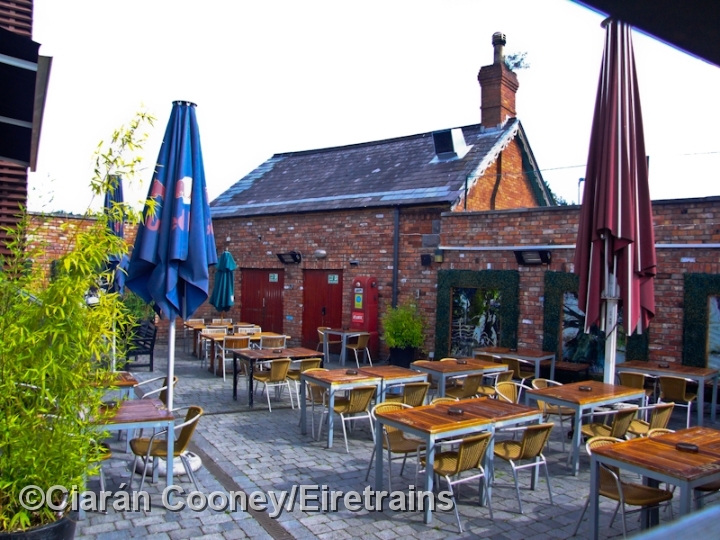 Today the station building remains largely intact, now used as store for the adjacent Porterhouse Pub. 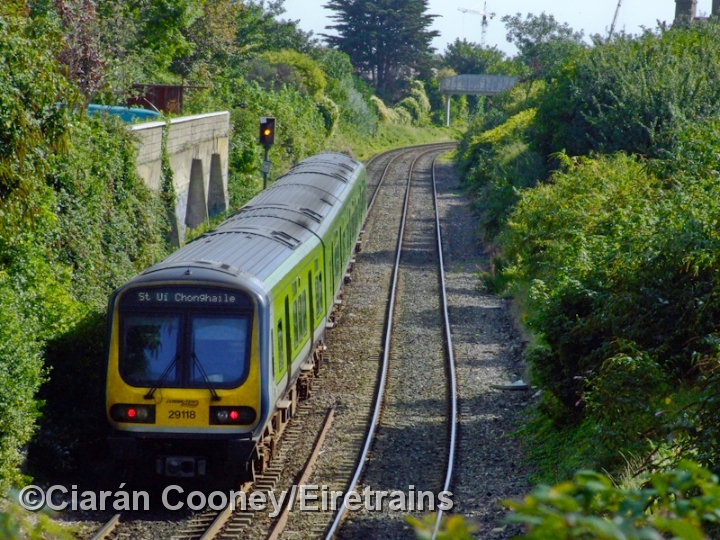 Incidentally its sister station at Drumcondra reopened in 1998. 1 The site of Glasnevin Station on the Great Southern & Western Railway's link line between Glasnevin Jct and Connolly Station. This view is looking east towards Connolly, with the former station building just visible within the shrubs on the right. 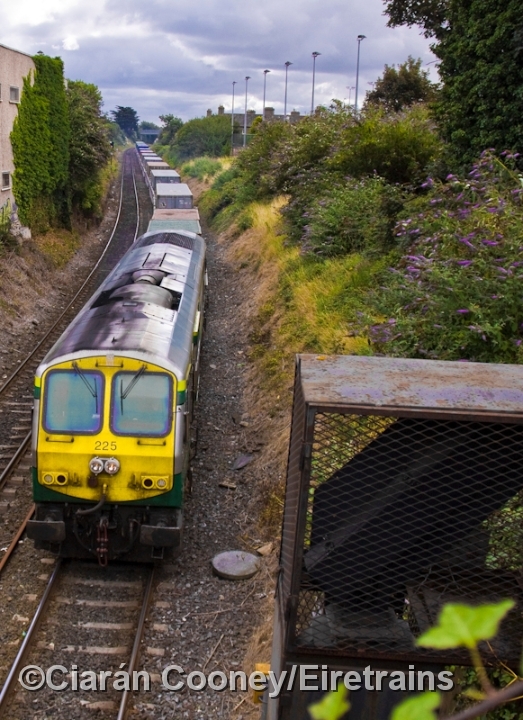 071 Class loco No.076 is seen passing with the IWT North Wall to Ballina freight liner train. 2 Closer view of the aforemtioned station building. Although closed since 1910, the building remains largely intact. The protruding structure connected with the one time footbridge which led to the single platform. 3 Glasnevin Station was unsual in having an island platform located between the two running lines, which was linked to the elevated station building by footbridge. 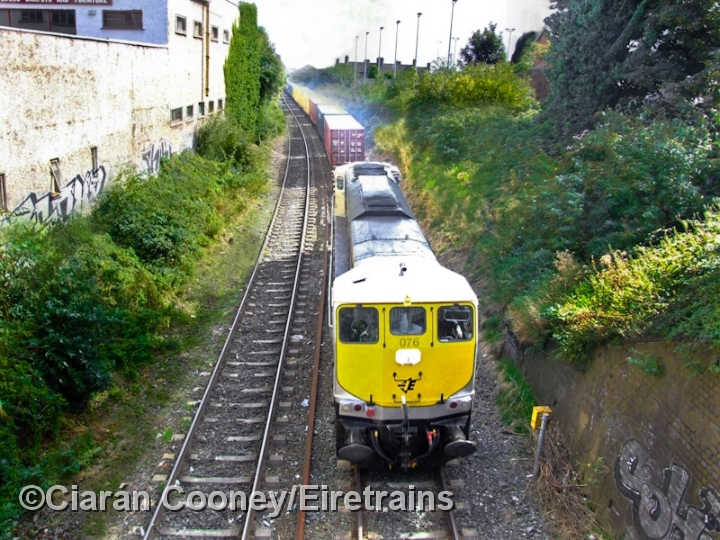 29000 Class railcar No.29118 passes the former station site heading for Connolly. 4 Sometimes it is impossible during the summer to see the former station building at Glasnevin due to the trees and shrubs. 201 Class loco No.225 this time leads the IWT freight liner to Ballina, consisting of the pocket container wagons. 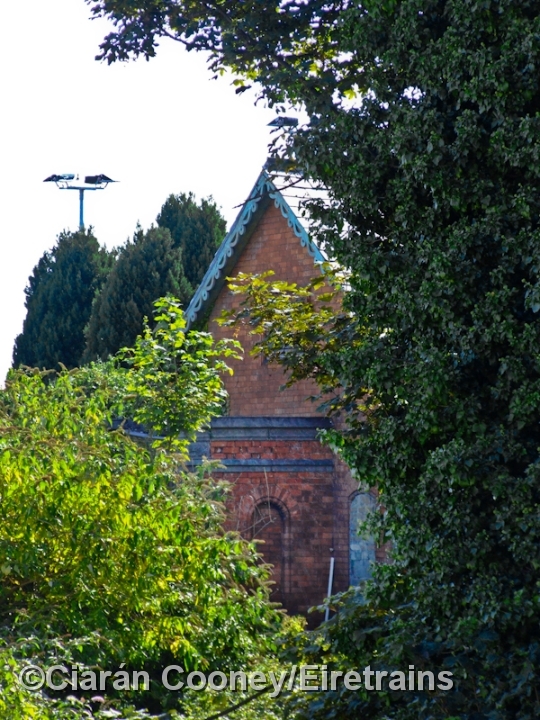 5 The small station building of Glasnevin, seen from the road side. The structure is now a store for the Porterhouse Pub. 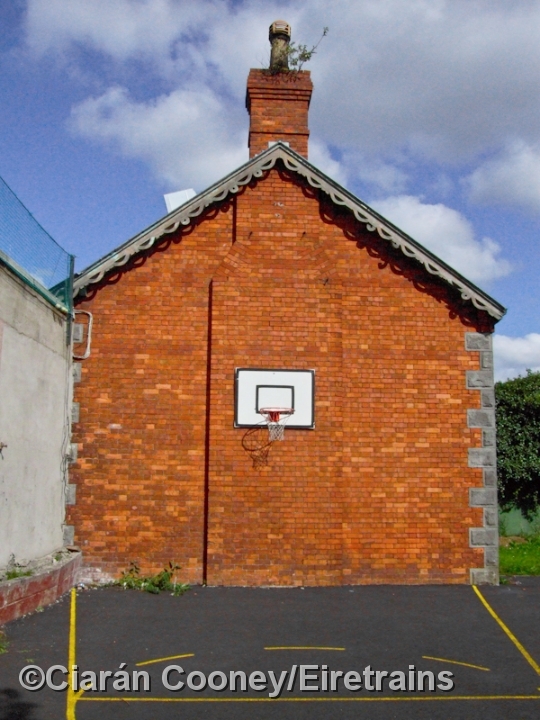 6 The eastern side of Glasnevin Station building is located within an adjacent tennis court, while that on the western side is owned by the Porterhouse Pub, the end of wall of which is visible on the left. 7 The gable end of the 1901 structure retains its wooden boards, a common feature of Great Southern & Western stations. 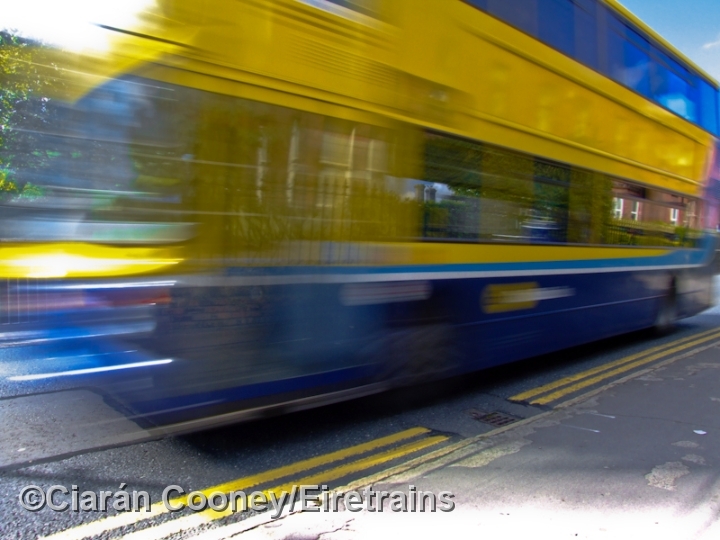 8 Nowadays Glasnevin commuters are served by Dublin Bus routes into the city centre. While bored waiting for the IWT freight liner train, one of Dublin Bus's ALX400 Class vehicles reflects Glasnevin's Victorian red bricked houses as it heads for the city centre.